We live in a global economy and that means that any platform going live with Muvi is enabled to be able to reach all corners of the world and we have ensured that you are able to charge your users for digital content in their local currencies as well. With Muvi, you get the privilege to charge your users in their own local currency! Be it US Dollars, Pounds, Yuan, Yen or even BitCoins, you have the freedom to setup multiple currencies on your platform for your viewers and not only that, you can even setup variable pricing for your product in local currencies, so the same video in USA can be priced at $5.00 however in UK it can be £5! You have the power to do all this, and much more from within the Muvi CMS. With Muvi, you can charge your users in local currency. Add multiple currencies for regions and countries you want to charge locally in and setup a custom pricing for the subscriptions and packages you create, and with a payment gateway integrated, you are all set to go. Setup a default currency for users coming in from other regions and continue charging them, without worrying about losing business from these regions! With local currencies you need to add multiple payment gateways, so you can accept payments from those regions and Muvi supports this out-of-the-box. 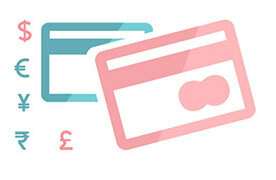 You can add multiple payment gateways via which you can accept local currencies in all corners of the world. Drive more business and Optimize your existing users by providing Discounts & Coupons. Provide your users with incentives in a way that they should love to pay for your platform. With Muvi, you can continue accepting recurring payments from your users in their local currency. 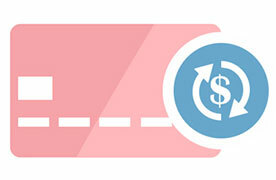 Once you user is charged, we'll automatically charge them in on the set billing date in local currency to the user.